​In my last blog post called „What is the noblest profession in the world?“ I claimed that we should give more credit to farmers for what they do for us. Today I would like to go back to the roots, when agriculture was created by the first farmers. ​ A couple of thousand years ago the only way for a civilization to survive was the implementation of an agricultural strategy. If you look closer at the history of different civilizations, such as China, Mezopotamia or Egypt you will see that they were all situated close to rivers. Egypt was a very fast growing civilization thanks to the Nile river, which later appeared to be the longest river in the whole world. The Egyptians were able to cultivate crops on a desert thanks to their new invention – the irigation system. Nowadays our survival is never linked to the work of farmers but rather to our own work for which we get money. 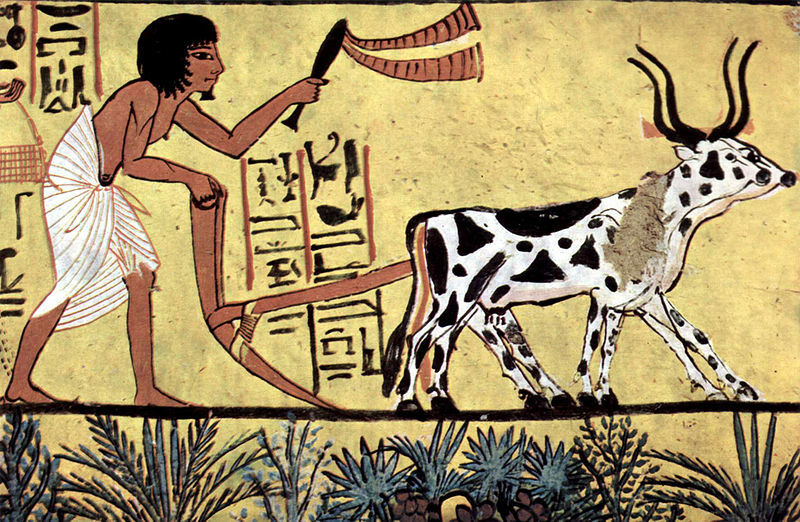 ​I spent some time thinking about the ethymology of the word agriculture. It comes from the latin word agricultura, where ager means field and cultura means culture. So agriculture at the beginning was about bringing some culture to the fields. Culture is all the heritage and knowledge that humanity has gathered throughout the years. In fact farmers were the first people that started explaining how nature works. In ancient civilizations agriculture scientists were very important people, because they were using their knowledge to get from nature as much as they could to feed as many people as possible. ​I would like you to think a little bit about the verb cultivating. It is a derivative of the word culture and is not only used to describe our actions with the crops but also to say that we care about our tradition and customs. Probably people first used the combination of the words „cultivating crops“ then „cultivating tradition“. ​People from higher social classes know very well what it means to have culture. After all, when a new rich comes to a black-tie banquets it is quite common to hear: „Oh, this man has no culture!“ If a farmer came to such an event the reaction would probably be the same. ​ I know I used a lot of cliches in this post, but it was easier to present my message this way. I wanted to show you a picture of the southern part of the Brazilian Amazon region. The state is called Mato Grosso, which in Portuguese means a thick forest. Now it is getting dominated by soya plantation which is changing its natural structure. My question to you is: Is it bringing culture to the fields? Posted on September 24, 2013 September 24, 2013 by saynotofoodwastePosted in BlogTagged agriculture, FAO, food security, sustainability. the Hymenoptera order, the bees, ants and wasps diverged and adapted, each to their own ecological niche.